Aliens Everywhere! Augmented Reality Invaders from Space! Seriously, you've never seen or played anything like this before. 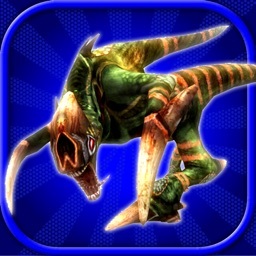 Gyro controls let you simply look around with your iDevice as if you're taking a photo, and blast alien brains out! Try it for yourself! **** NEWS FLASH **** Aliens are invading the Earth!! They're in your city. They've infiltrated your town. They've abducted your neighbour's cat Tiddles. THEY'RE EVERYWHERE! Introducing Aliens Everywhere! Augmented Reality Invaders from Space! 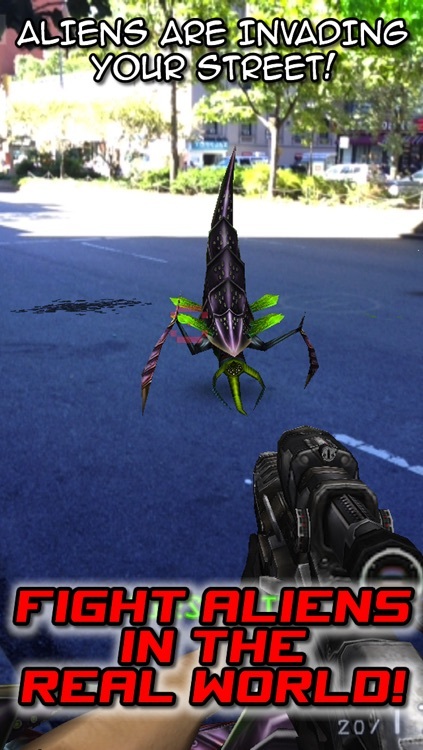 More than just another shoot-aliens-in-the-face game, Aliens Everywhere uses Augmented Reality to put aliens in YOUR WORLD. They're all around you right now! You'll see aliens beaming down all around you. You'll hear them growl. You'll see them crawl, slither and fly. You'll grab a blaster and blow their stupid, slimy, alien, heads off. It's WAR!! 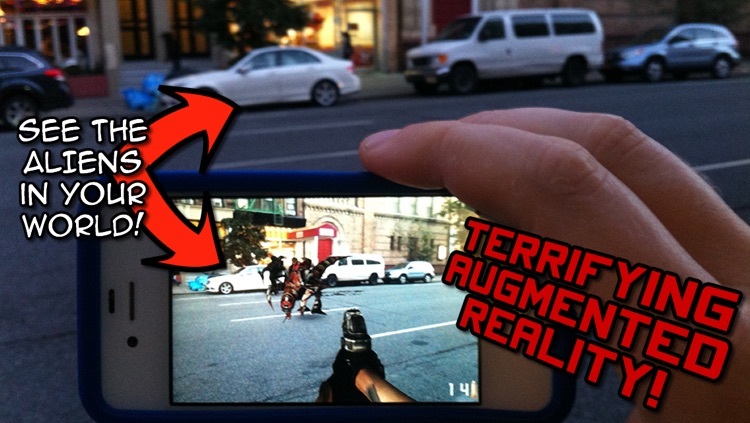 - Totally immersive Augmented Reality puts aliens all around you in the real world. IT'S LIKE THEY'RE REALLY THERE! 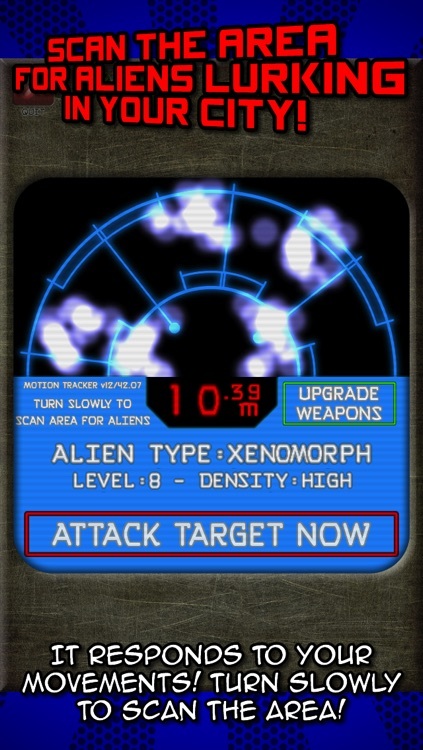 - Use the Alien Motion Tracker to scan the area for aliens lurking nearby, then select which mission you want to attempt. The scanner responds to your movements, so you turn to scan the area, just like in your favourite sci-fi movie! 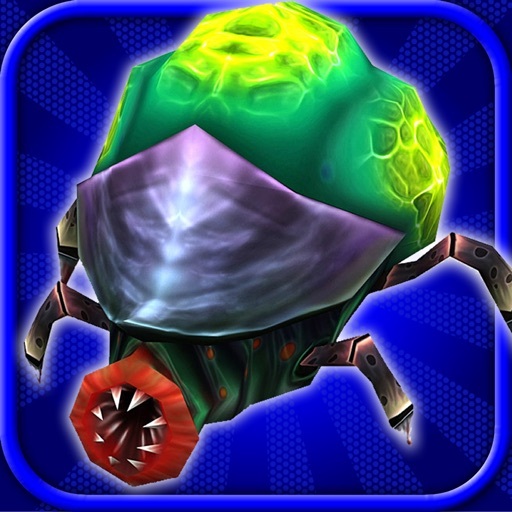 - Loads of different alien species to discover, and defeat! - With each successful mission you'll earn credits you can use to unlock and upgrade different weapons, including the dreaded Bug Zapper 4000! - At first, there will only be a few aliens at a time, but as you progress you'll be swamped by loads of extraterrestrial fiends! How long can you survive?? 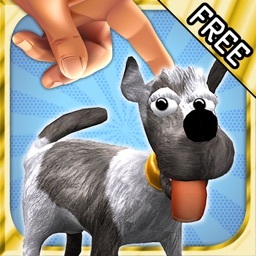 - 2 Modes: Progress through the game, or switch to SAFE MODE and enjoy the Augmented Reality effects without being attacked! You can still blast the Martian scumbags to hell tho! WARNING: When using Augmented Reality please be aware of your surroundings! Be careful of the people and things around you. 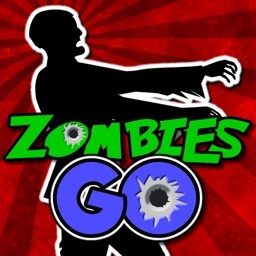 It's easy to be completely immersed in the Augmented Reality invasion and forget where you are! 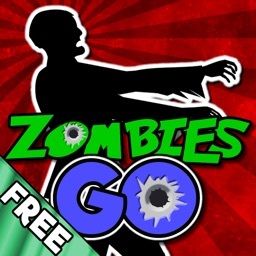 Be sure to check out ZOMBIES EVERYWHERE! 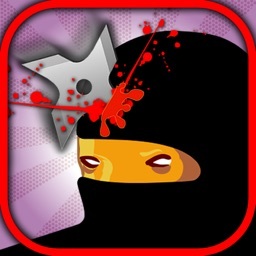 AUGMENTED REALITY APOCALYPSE, and SPACE WARS 3D STAR COMBAT SIMULATOR, also available on the App Store. Similar Apps to Aliens Everywhere! Augmented Reality Invaders from Space!